Citation: Alice MLL. Ecological Public Health Approach for Global Climate Change: A New Perspective of Transdisciplinaritys. Glob Environ Health Saf. 2017, Vol. 1 No 2: 11. The world’s climate is now changing dangerously fast with its global impacts and devastating effects that will affect people and environment in many ways severely and catastrophically, which is the biggest global public health threats of the 21st century as the consequential effects of our human-induced disturbances to the eco-environment, biodiversity and natural ecosystems functioning, in addition to the food production systems. The current global climate change signifies the alteration of earth’s biophysical and ecological systems being disturbed at the planetary scale. This paper illustrates the impacts of public health arising from this environmental crisis of global climate change, together with the complexity of epidemiological transition to the significance of the environmental conceptualization of health that leads to immense challenges forced on the ecological dimensions for healthful practices and choices of our lifestyle behaviour in support of sustainable global interdependence. The dynamics of ecological public health approach is the ultimate focus for this transitional need to make positive movements and mitigations to counter the anthropogenic activities through a new perspective of transdisciplinarity in education by reconceptualizing a culture for health as the ‘Trans- Reality’ towards sustainable ways of living. Climate change is the biggest global health threat of the 21st century, as the effects on health will affect most populations in the next decades and put the lives and wellbeing of billions of people at increased risk, and therefore, a new advocacy and public health movement is urgently needed as climate change is not just an environmental issue but a critical health issue . Climate change can also result in significant ecosystem disruptions that in turn will pose substantial threats and damages to earth’s natural systems, from which provide us with essential human needs such as food, clean air, clean water and clean soils, as well as prevent the spread of diseases through biological control, as the natural environment and health system are interrelated [2,3]. There are many scientific investigations have progressively refined our understanding of the influence of the ecoenvironments on human health, as concepts of diseases are developed at different stages throughout the history of public health developments, and health threats being imposed by the ecological determinants resulting from the interaction of an agent and host in the epidemiological or ecological triad of the disease triangle with the dilemma drivers of environmental hazards have to be tackled collaboratively, as they are interlinked with all those determinants under this ecoenvironmental paradigm . The inadequacy of the public health response especially to global environmental and climate change should now call for an ecological approach that human activity in all its social, economic and cultural complexity must be addressed as an integral to, and interactive, with the natural environment . Therefore, the consideration of natural environment, as an important construct in an “ecological” approach to health, in the contemporary public health paradigm has to be acknowledged and reinforced . The world’s climate is now changing dangerously fast with its global impacts and devastating effects that will affect people and environment in many ways severely and catastrophically to our world through widespread harmful effects, which will be the biggest environmental challenges to our generation that has ever seen [7-9]. It is believed that the world’s future climate is among the most significant and most difficult scientific and communication challenges of our time [ 9]. Therefore, the challenges of operationalizing this complexity has to be conceived through the articulations of ecological public health approach for health-related problems arising from global climate change, which highlighted as the prism of a renewed environmental conceptualization of health, with the significant implications of the ecological principles on the relationships between nature and society per . Conceivably, the necessity of new solutions for problems of the relationships between Nature and Society based on ideas of “ecological ethics”, looks especially complex and is directly connected with the problem of forming a new culture . In this sense, the contextual ideas about health are therefore cultural, in which cultures often merge and change, human diversity assures that different lifestyles and beliefs will persist so that systems of value remain autonomous and distinct . Thus, the global ecological crisis and related ecological problems take priority and the transition to a new model of thinking that promises to achieve harmonious interrelations in a “Nature Society” system, and for the elaboration of a change of attitudes on a global level to achieve ways of sustainability is utmost important for our modern society . In fact, the significant advances in science should be given to addressing the needs of society, and the industrial revolution allowed human beings to control the resources of nature that consequentially causing the global environmental problems, and now we must build shared theoretical frameworks in recognizing the multidimensionality of health issues from the perspectives of transdisciplinarity, which integrates knowledge from joint use of diverse disciplines to enhance our understanding of the systemic roots of problems with the goal of solving these problems . “A Culture For Health” is definitely needed to be cultivated as a consequence of shifts in the changing burden of disease, the process of making this nurtures through transformed transdisciplinarity in education by reconceptualizing this renewed knowledge capitals for a need of changing society towards sustainable ways of living as ‘the ordered overall movement’ for our global interdependence under this environmental crises of climate change is therefore, absolutely essential. Climate change induced by human activities is due to the globally aggregated excess of greenhouse emissions that will increasingly influence the world’s health [3,8]. As the “WHO estimated that, in 2012, 12.6 million deaths (23% of all deaths worldwide) were attributable to modifiable environmental factors, many of which could be influenced by climate change or are related to the driving forces of climate change” . In fact, today’s substantial global health are being undermined by the threats of climate change, in which a wealth of evidence shows that global health and global climate and ecological conditions are inseparable . The World Health Organization announced that climate change is a significant and emerging threat to public health, which is a growing concern that human health is affected by changes or disturbances in biodiversity and ecosystem services, with which the natural ecosystems functioning are indispensable to the wellbeing of all people in the world . In fact the world’s climate system is an integral part of the complex of life supporting processes, the global scale of climate change signifies the alteration of earth’s biophysical and ecological systems at the planetary scale, as the IPCC indicated “there is new and stronger evidence that most of the warming observed over the last 50 years is attributable to human activities”, which indicated the rapid rise of earth’s average surface temperature in this 21st century as shown in Figure 1 . 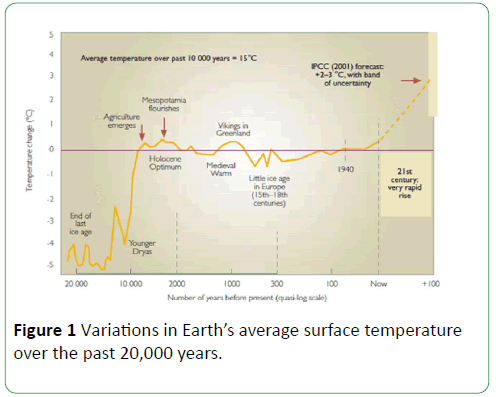 Figure 1: Variations in Earth’s average surface temperature over the past 20,000 years. The current climate change is one of the most significant indications to signify the ecosystem’s intrinsic capacity for selfrenewal is damaged with prime implications of the greatest health risks in the 21st Century, with rising temperatures and more extreme weather events cost lives directly, increasing transmission and spread of infectious diseases, and undermine the environmental determinants of health, including clean air and water, and sufficient food [4,15,17]. The striking trends of unsustainably exploiting nature’s resources, human civilization has flourished but now risks substantial health effects from the degradation of nature’s life support systems in the future, as the far-reaching changes to the structure and function of the earth’s natural systems represent a growing threat to human health . It is therefore most significant for us to recognize the ecoenvironments are vital part of the ecological factors to support “the sustainability of environments and human communities for our on-going existence on this planet earth, inter alia with issues on global environmental hazards to human health such as climate change, stratospheric ozone depletion, loss of biodiversity, land degradation, changes in hydrological systems and the supplies of freshwater, land degradation and stresses on food producing systems”, and in fact, starvation, hunger, malnutrition or under-nutrition are still at the world’s top list of health threats, with which the dual burden of the cost of chronic diseases often coexist” . The significant fact shows human activities are breaching environmental limits across a range of areas, driving terrestrial and marine biodiversity loss, ocean acidification, depletion of freshwater, soil degradation, and other potentially irreversible processes, and hence the health effects of climate change are projected to become increasingly severe in the future, and threaten to undermine our global public health, Figure 2 projects the health impacts of climate change . Figure 2: The health impact of climate change. It is now evident that the epidemiological transition is even more complex and dynamic where health and disease evolve in diverse ways, the risk factors involved include biological factors, environmental factors, social, cultural and behavioural factors as well as the practices of modern medicine , in which “the variables might reasonably be described as ecological, particularly those relating to the natural environment” that caused massive changes or shifts in disease patterns invariably overshadow the impact of both medical care and public health , which could also be aggravated further by the climate-mediated harm from the anthropogenic human activities. Environmental ecological determinants on global climate change and public health is interlinked with the importance of sustainable developments in all forms of beings per se, the resultant effects of a sine qua non regarding the health transition that is continuously being affected by the global environmental and epidemiological transitions. Such consequences are likely to have direct adverse effects on public health as a potential epidemiological time bomb. In fact, many historical and current human diseases originated from animal hosts, and therefore how the poor maintenance of livestock or agricultural fields by humans can aid in the spread of many animal and human diseases , which have coevolved with myriad other species, which makes us differentially susceptible to a broad range of disease agents, especially under the adverse impacts of environmental sources, such as exposures to infectious agents e.g., via vector control, and large seasonal surges in disease incidence with exacerbation likely to arise from climate change . Ecological changes is the other prime factor driving the emerging and re-emerging of many diseases such as the reported emergence of 335 infectious diseases between 1940 and 2004, in which “zoonoses from wildlife represent the most significant, growing threat to global health of all emerging infectious diseases” , because “out of 1415 species of infectious organisms that have been identified to be pathogenic to human beings, 61% are zoonotic pathogens” [ 28]. Moreover, “the distribution and impacts of infectious diseases are already being altered by the various dimensions of climate change observed so far, and are projected to worsen for many infectious diseases in the future” . Thus, “efforts to conserve areas rich in wildlife diversity by reducing anthropogenic activity may have added value in reducing the likelihood of future zoonotic disease emergence” . 1. In 1894, a plague epidemic swept HK and southern China and started the last plague pandemic in which more than 20 million people died worldwide. 2. In 1968, a new strain of influenza, i.e., H3N2 virus the ‘Hong Kong flu’, emerged, which also heralded the first H3N2 pandemic in recent times. 3. In 1997, the outbreak of avian influenza H5N1 infection that shocked the world, with 18 proven human cases and six fatalities. In 2003, the Severe Acute Respiratory Syndrome (SARs) broke out in HK, with 1,755 people were infected, of whom 299 died, including 8 medical and healthcare workers; and this SARs epidemic in HK not only affected the health of the people but also had social, economic, and humanitarian repercussions, as it unveiled deficiencies in the public health arena, as well as shed light on basic failings of the healthcare system . The impacts of health, social and economics arise from zoonotic diseases or infectious diseases are huge, Figure 3 shows the estimated economic impact of some selected infectious diseases. 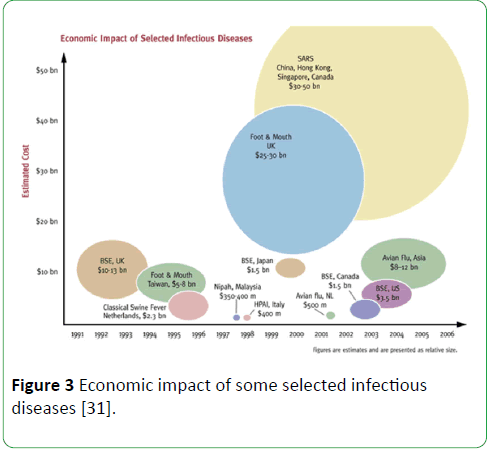 Figure 3: Economic impact of some selected infectious diseases . Hong Kong will continue to face the challenges of infectious disease, because of increasing environmental pollution, population movements and the changing lifestyle and behaviour of the population, etc . It is also due to the process of globalization, the geographical scale of important health issues is progressively increasing, in which the pathways from globalization to health are often complex and mediated by a multitude of factors, such as economic development, lifestyle and ecological changes . In fact, Omran’s third epoch has put forth that many facets of epidemiology with the focuses behind population dynamics, emphasizing the changing nature of structural influence as the “Age of Degenerative and Man Made Diseases” , which is also directly linking to the public health triad that involves studying the interactions among humans, animals, and the environment using health related consequences by fusing scientific disciplines to characterize public health issues, as all forms of life on earth are extremely interactive, and therefore the need to decipher relationships between environmental issues and human and animal health is the path of articulation to promote a sustainable future . In this regard, “a new ecological sense of public health is emerging based on the recognition of the limits on nature, that nature no longer offers an endless cornucopia of its resources for human use or that the biological world can be ceaselessly altered to human advantage” . Arising from this perspective, it leads to the focus of the paradigmatic shift on “One Health” vision and “One World” concept as generated for the Ecological Public Health Model to promote ecological harmony and preserve the eco-environments for our coexistence of healthy ecosystems, healthy animals and healthy humans . In actual fact, the global environmental hazards to human health such as climate change, stratospheric ozone depletion, loss of biodiversity, changes in hydrological systems and the supplies of freshwater, land degradation and stresses on food producing systems, as well as other ecological determinants such as health threats from the human animal ecosystems interface and zoonotic diseases (zoonoses) impose an increasing risk continuously to public health, from those emerging pathogens transmitted through contact with animals, food, water and contaminated environments . The illustrated environmental conceptualization of health captures specific doctrines to amid for nurturing an ecological understanding on the dimension of environmental ethics as “a culture for health” in a parallel need for a sustainable ways of living under this inherent global interdependency. And therefore it is necessary to go for a wider implication of changes to transform public health in a global context with critical vision towards environmental conceptualization of health in this era of globalization. In light of this vision, public health improvements should be pursued by taking ecological principles into account for the interconnections among society, the economy, the environment and our health and wellbeing under ecological public health approach  and transited onto the cultural dimension as the functional and operational dynamics. The field of public health is indeed a social, cultural and historical construct under constant evolution, in which the epidemiological transition acts a determining role, especially at a turning point in the changing health and disease patterns in relation to the underlying determinants and overall consequences of health outcomes in population groups. In fact, the environment has long been considered as a determinant of health as the Ottawa Charter for health promotion codified the context of new ecological thinking includes the natural environment that was necessary to deliver many of the fundamental conditions for health, and therefore, public health has also progressed from considerations of the physical environment as an un-dynamic external entity to a contemporary ecological paradigm that incorporated the complex reciprocity between the natural environment and human actions [34,35]. As this direction of focuses is in line with the ecological paradigm in support of the sustainability of eco-environments and human communities for our ongoing existence on this planet earth, with this ecological standpoint and emphasis on the concept of disease resulting from complex interactions between man, an agent (e.g., domestic food animals, poultry and wildlife) and the environments , and therefore the environmental conceptualization of health is indeed transforming from the perspectives of ecological public health concern. “Human beings live within a safe operating space of planetary existence, and if the planetary boundaries of that space are breached, the conditions for our survival will be diminished” , as how climate-dependent ecosystems that connect and sustain all forms of life on our planet earth will respond when pushed beyond critical limits are still necessarily uncertain . Evidential indications on the limits of our planetary boundaries at the current value by reference to the proposed boundary value with comparisons to its pre-industrial value on the parameters of earth system process further affirmed the existing environmental contaminants have already placed enormous stress on the ecosystem as indicated by these limits of planetary boundaries as shown in Figure 4 . 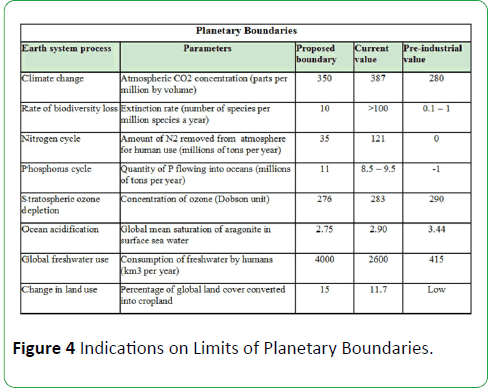 Figure 4: Indications on Limits of Planetary Boundaries. Human induced climate change has already reached levels that are apparently unsafe . And therefore, “stabilization of greenhouse gas concentrations in the atmosphere at a level that would prevent dangerous anthropogenic interference with the climate system” is absolutely essential . As the ecological public health integrates the material, biological, social and cultural aspects of public health, and hence the practice of public health must address and dare to reshape the big trends or transitions that already frame the 21st century, and that is the way forward for the 21st century . This contemporary ecological approach has already put forth the notion towards the common goal of sustainable development as in the global trend , in which the Principle 1 of the Rio Declaration on Environment and Development states that: “Human beings are at the centre of concerns for sustainable development. They are entitled to a healthy and productive life in harmony with nature”, and this principle takes the Agenda 21 further as to protect, promote and maintain the health of the population with the underlying concept of ecologically sustainable development for reducing health risks [ 39]. As a result, the trend of global transition to sustainable development is required in light of those key conditions and risk factors arising in the health dimensions from such complexity of problems related to natural resource depletion, to environmental degradation, to unhealthy lifestyles and consumption processes, and all of which is adversely affecting the environmental sustainability at global level. In view of this scientific indication, the dynamics of the ecological public health approach are definitely demand for a new perspective for the interconnections and orientations towards sustainable ways of living as our shared vision of ‘Trans Reality’. A ‘Culture for Health’ is highly recommended as an interventional goal in the process of transforming society’s contemporary values as connected universal beings through transdisciplinarity in education. Hong Kong is one of the world’s most affluent cities; however as according to the summary report of WWF if everyone in the world lived a Hong Kong lifestyle, we would need 2.6 Earths as assessed in 2013  and 3.1 Earths to fulfil our resource needs as estimated in 2014 respectively . This figure is astonishing and underlines the fact that the current lifestyle of people in HK is a long way from being sustainable [ 42]. And therefore, promotion of ecological health literacy and environmental ethics via the proposed transdisciplinarity in education as a synergy of the ecological public health interventional approach towards sustainable ways of living for our global interdependence under this environmental crisis of climate change is absolutely pivotal. In 2015, the quantity of the municipal solid waste disposal was 3.71 million tonnes in Hong Kong, which represented an increase of 3.9% as compared to 2014, in which included some 2,257 tonnes of waste paper per day and some 2,183 tonnes of waste plastics per day were disposed of at landfills . According to 2014 statistics, Hong Kong throw out over 3,640 tonnes of food waste every day, so that such levels are being described as “hard to stomach when a billion people go hungry on the planet” during the World Food Day by the newspaper . Hong Kong’s mounting waste disposal problems that aggravated by ‘a throwaway culture’ are well known . In addition, HK dominantly is one of the world’s biggest consumer of meat per capita as in the dietary practices, Figure 5 shows per capita meat, fish and seafood consumption by market in 2014 . Figure 5: Per capita meat, fish and seafood consumption in 2014. In light of these phenomena of ‘the HK lifestyles’, the recommended ecological public health improvement approach is therefore focused on reducing the ecological footprint by (a) changing ‘a throwaway culture’ in order to minimize the landfills problem to our environment and (b) adopting ‘Sustainable Diets’, as both are the key dimensions of intervention towards sustainable ways of living. As “the accumulation of waste and the ‘throw away philosophy’ has resulted in several environmental problems, health issues and safety hazards and prevented sustainable development in terms of resource recovery and recycling of waste materials” , and furthermore the current rising global dietary trends in the consumption of animal sourced food products is also a problem from both a public health and a sustainability perspective . It is due to the fact that greenhouse gas emissions (GHGe) from livestock production (including transport of livestock and feed) accounts for nearly 80% of the food sector’s emissions, with total estimation of 35% global GHGe deriving from this livestock product, in addition to methane and nitrous oxide, which are both potent greenhouse gases and closely associated with livestock production that contribute much more to this sector’s warming effect than does carbon dioxide [ 49]. Methane is also a precursor for ozone and contributes to rising worldwide background concentration of surface ozone and associated premature mortalities, as well as the second most important greenhouse gas, which is emitted from landfills . Climate mediated harm caused by food production system and environment on our human health is always a complex issue with many factors interacting and relating to each other, as the “environment shapes human nutrition and vice versa, how what we eat reflects how we treat and think of the environment”, and therefore, ‘Sustainable Diets’ is recommended for its significance of environmental sustainability . FAO defined “Sustainable Diets are those diets with low environmental impacts which contribute to food and nutrition security and to healthy life for present and future generations. Sustainable diets are protective and respectful of biodiversity and ecosystems, culturally acceptable, accessible, economically fair and affordable; nutritionally adequate, safe and healthy; while optimizing natural and human resources” [ 51]. “Human driven environmental change has operated largely at the local scale for nearly all of human history. This situation changed with the Industrial Revolution in the late eighteenth century. The introduction of fossil fuel-based energy systems transformed economic systems, the structure of human societies and the human capacity to affect the planet” . Humans through cultural, behavioural, and technological changes have become the most disruptive and significant agents of change for the rest of life on the planet . As indicated the “changes in lifestyle and consumptions patterns in most societies around the world have led to global escalation in both total and per capita demands for Earth’s resources” . It is believed that cultural change and reintegration are necessary components of a more sustainable and equitable society, transformational change with a true ethic of connectedness in values and mind set is the great challenges to be addressed . It is also a matter of significant fact that “many greenhouse gases stay in the atmosphere for long periods of time”, and therefore “stabilize concentrations would require a dramatic reduction in current greenhouse gas emissions” . Thus, the key challenges in managing health effects of global climate change should be in a proactive manner in the process to mitigate the underlying causes of the problems. This proposed sustainable ways of living as a culture for health is in line with the present ecological public health approach to health issues arising from global climate change, and hence should be set forth as the key dimensions of intervention that permeated critically to our eco-environments, human health and wellbeing. The concept of “A Culture For Health” is derived from the fifth wave of public health development based on the increasing understanding of the contribution of individual behaviours and lifestyle choices to health outcomes as a consequence of shifts in the rising burden of chronic disease, which is in addition to the other existing four waves namely ‘structural’, ‘biomedical’, ‘clinical’, and ‘social’ as shown in Figure 6 . Figure 6: A culture for health as the fifth wave of public health improvement. Ironically, human cultures contain both the threat and opportunity for human flourishing, and “while the main threats to humankind today are the consequence of the human aptitude for culture, our only hope for overcoming them lies in this aptitude”, thus when we consider climate change should also include the capacity of human systems to monitor the threat, understand its importance, and act on that knowledge . Despite transform how these forces from the fields of scientific-related body of knowledge are being understood as the objectivity of science towards sustainable development in the ways of our living, however cultural practices in lifestyles and beliefs could be deviated from this value and norm of behaviours. However, culture is not only habits and beliefs about perceived wellbeing, but also political, economic, legal, ethical, and moral practices and values, of which are always dynamic and changing, and therefore the cultural factors can also permeate into our health-improving behaviours . The process of creation of a harmony in Nature, Society and Humans system in the context of Sustainability  should also be built onto this dimension of the ecological principles for public health improvement under this unprecedented global climate change. The systems value of sustainable ways of living for global interdependence as a Culture for Health is the proactive approach in this significant parameter. It required solutions based not merely on ecological expediency, but also on ethical conviction with an inspired sense of an internal change in our intellectual emphasis, loyalties and affections towards “The Land Ethic” as this shared reality . A viable education can only be an integral education of the human being, which entails both a new vision and a lived experience as a way of self-transformation oriented towards knowledge of the self, the unity of knowledge, and the creation of a new art of living in the society as the ‘Trans- Reality’ . The only ground of the shared vision of reality is “the ordered overall movement” and “we are part of this ordered movement” towards our responsibility is to built sustainable futures in agreement with this overall movement [ 58]. The concept of a new principle is therefore proposed as a paradigm shift in reconciling effectiveness and affectivity through a journey of transformed transdisciplinarity as summarized in Figure 7, which is synthesized for the embracement with the defined “Trans-Reality” to unify the conceptual links of this paradigmatic shift that promotes depth of ‘Understandings’ and adaptability to ‘Knowledge’ and ‘Being’, together with the Four pillars of a new kind of education for ‘Learning to know’, ‘Learning to do’, ‘Learning to live together’ and ‘Learning to be’ towards sustainable ways of living under this anthropogenic environmental crisis of global climate change . Figure 7: A new principle of relativity in Transdisciplinarity [58-60]. Transdisciplinarity is new form of learning that involves the development of anthropocentric world views, which further reflects significance and realization of human empowerment and potential through education ; as this need for a change in developing a new global basis of consciousness to bring about the needed culture and development, which is desirable at all levels of society for a future based heritage of humanity and should be recognized and affirmed for the benefit of present and future generations, as cultural diversity is as necessary for humankind as biodiversity is for nature on the concepts of sustainable development . This new principle is specifically for cultivating the intended contemporary values as connected universal beings with the necessary mentalities of ‘Trans-Reality’ towards sustainable ways of living as ‘the ordered overall movement’ for a changing globalized society . The world has entered a new era, indeed a new geological epoch, in which human activity has come to play a central and threatening part in fundamental earth dynamics, in which humanity also faces not only one but many overlapping crises of environmental sustainability, including climate change as the result of human caused emissions of greenhouse gases and massive environmental pollutions . The broad scale climate system are already affecting human health through direct acting effects or other exist major risk pathways, the vulnerability associated with future climate change on our health implications are uncertain, as the global average temperatures are projected to increase between 1.4 to 5.8°Celsius by the end of the century , while evidence has grown that climate change already contributes to the global burden of disease and premature deaths, and the current burdens of climate change related exposures indicated the human health vulnerability were and would be affected by climate change, as based on a range of scientific evidence, which also projected health impacts of climate change are predominately negative . As human induced climate change could have major adverse consequences for the world’s ecosystems, which could exacerbate profound effects on the provision of ecosystem goods and services to affect our mankind [2,3] and these negative impacts will be intensified by producing a substantial greenhouse gas source that driving climate change with further adverse effects on food production systems , and also changes in the biophysical component of the Earth system could increase the re-emergence of old diseases or the development of new diseases, as well as the transmission of diseases due to the direct impacts of global climate change [ 52]. A shared health, environmental, and development agenda could address the large share of the burden of disease that is environmentally related in view of this global threat to health and human survival are increasing, including changes in global climate, depletion of the ozone layer, biodiversity loss, and changes in the biosphere and ecological processes . Achieving health-sustaining environments for our future health prospects depend increasingly on a broad view of the determinants and, indeed, the sustainability of population health, and “this is an ecological view of health; an awareness that shifts in the ecology of human living, in relation to both the natural and social environments which account for much of the ebb and flow of diseases overtime” . Ecological public health approach for global climate change is the ways of learning towards sustainable living for global interdependence, which are viewed as a new kind of humanism that is utterly essential under the existing environmental crises. A new perspective in transformed transdisciplinarity in education acted as driving forces to cultivate the orientations or re-orientations of accountability or accountable behaviours as the transformative learning actions for the needs of this changing world . The awakening of an ecological conscience that redefines humanity as part of nature  and the proposed paradigmatic shift to sustainable ways of living as a ‘Culture for Health’ for our shared vision of this ‘Trans-Reality’, which is meant to be the spark of conceptual insights to build bridges to facilitate the transformation of society’s contemporary values as connected universal beings in a common journey of humanistic transition for the concern of global environment, health and safety. Costello A, Abbas M, Allen A, Ball S, Bell S, et al. 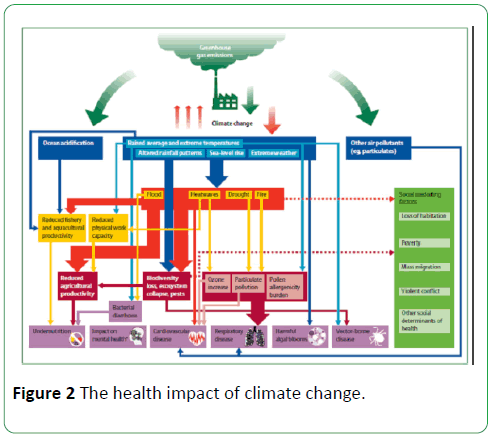 (2009) Managing the Health effects of climate change. Lancet 373: 1693-1733. Huynen MM, Martens P, Hilderink HBM (2005) The health impacts of globalization: a conceptual framework. Globalization and Health 1: 1-8. Klein RJT, Schipper ELF, Dessai S (2005) Integrating mitigation and adaptation into climate and development policy: three research questions. Environmental Science and Policy 8: 579-588. Li AML (2017) Ecological Determinants of Health: food and environment on human health. Environ Sci Pollut Res 24: 9002-9015. Reis S, Morris G, Fleming LE, Beck S, Taylor T, et al. (2015) Integrating health and environmental impact analysis. Public Health 129: 1383-1389. Coutts CJ, Taylor C (2011) Putting the capital “E” environment into ecological models of health. J Environ Health 74: 26-9. Scholz M (2009) Sustainability: Environmental Studies and Public Health. Int J Environ Res Publ Health 6: 2623-2625. 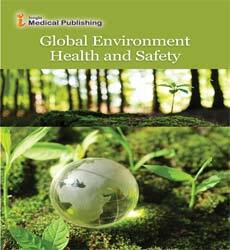 McMichael AJ (2013) Global Health: Globalization Climate Change and Human Health. The New England Journal of Medicine 368: 1335-43. Henderson SA, Guffie KM (2012) The Future of the World’s Climate. USA, UK and The Netherlands: Elsevier. Rudney V (2012) The factor of local cultural specificity and process of globalization. Coll Antropol 36: 1135-8. Napier AD, Ancarno C, Butler B, Calabrese J, Chater A, et al. (2014) Culture and Health. Lancet 384: 1607-39. Méndez F (2015) Transdiscipline and research in health: Science, society and decision making. Colmb Med 46: 128-134. Watts N, Adger WN, Ayeb KS, Bai Y, Byass P, et al. (2017) The Lancet Countdown: tracking progress on health and climate change. Lancet 389: 1151-1164. Patz JA (2016) Solving the global climate crisis: the greatest health opportunity of our times? Public Health Reviews 37: 30. World Health Organization (2017) Climate change and human health web information. World Health Organization (2003) Climate Change and Human Health-Risks and Responses: Summary. WHO Library Cataloguing-in-Publication Data. Canadian Nurses Association (2005) The Ecosystem the Natural Environment and Health and Nursing: A Summary of the Issues. Whitmee S, Haines A, Beyrer C, Boltz F, Capon AG, et al. (2015) Safeguarding human health in the Anthropocene epoch: report of The Rockefeller Foundation-Lancet Commission on Planetary health. Lancet 386: 1973-2028. Wahdan MH (1996) The epidemiological transition. Eastern Mediterranean Health Journal 2: 1-2. Bhopal RS (2002) Concepts of Epidemiology: An integrated introduction to the ideas, theories, principles and methods of epidemiology. UK: Oxford University Press. Barrett B, Charles JW, Temte JL (2014) Climate change, human health, and epidemiological transition. Pre Med 70: 69-75. Fielding G, McPherson M, Hansen-Ketchum P, MacDougall D, Beltrami H, et al. (2016) One Health. 2: 152-154. Campbell LD, Corvalán C, Neira M (2007) Global climate change: implications for international public health policy. Bulletin of the World Health Organization 85: 235-237. Parry M, Canziani O, Palutikof J, Van dLP, Hanson C (2007) Climate Change 2007: Impacts, Adaptation and Vulnerability. Working Group II Contribution to the Fourth Assessment Report of the Intergovernmental Panel on Climate Change, USA & UK: Cambridge University Press. Szekely B (2009) The Public Health Triad. In: Battle CU Essentials of Public Health Biology: A Guide for the Study of Pathophysiology. USA: Jones and Bartlett Publishers LLC. Omenn GS (2010) Evolution and Public Health. PNAS 107: 1702-1709. Jones KE, Patel NG, Levy MA, Storeygard A, Balk D, et al. (2008) Global trends in emerging infectious diseases. Nature 451: 990-994. Dakubo CY (2011) Chapter 1 Exploring the Linkages Between Ecosystems and Human Health. In: Dakubo CY Ecosystems and Human Health: A Critical Approach to Ecohealth Research and Practice. New York: Springer Science 3: 20-21. Yuen KY (2001) Emerging infectious diseases in Hong Kong. HKMJ 7: 224-226. Lee SH (2003) The SARS epidemic in Hong Kong: what lessons have we learned? Journal of The Royal Society of Medicine 96: 374-378. Li AML (2014) Invited speaker presentation talk on “Ecological Determinants of Health: Food and Environment on Human Health”. International Conference of Eco-aquaculture and Public Health 28-30 November 2014. The Hong Kong Baptist University. Huynen M, Martens P (2004) Globalization and Human Health: Toward Scenarios for the 21st century. Vatican City 2006: Pontifical Academy of Sciences, pp: 269-289. Rayner G, Lang T (2012) Ecological public health: reshaping the conditions for good health. New York: Routledge. Coutts C, Forkink A, Weiner J (2014) The Portrayal of Natural Environment in the Evolution of the Ecological Public Health Paradigm. Int. J. Environ. Res. Public Health 11: 1005-1019. Dakubo CY (2011) Chapter 2 Evolution Towards an Ecosystem Approach to Public Health. In: Dakubo CY Ecosystems and Human Health: A Critical Approach to Ecohealth Research and Practice. New York: Springer Science 20: 21-34. Horton R, Lo S (2015) Planetary health: a new science for exceptional action. Lancet 386: 1921-1922. Schroeder K, Thompson T, Frith K, Pencheon D (2013) Chapter 1: Greening the gaze. In: Schroeder K, Thompson T, Frith K, Pencheon D Sustainble Healthcare. UK &USA: John Wiley and Sons Ltd.
Lang T, Rayner G (2012) Ecological Public Health: The 21st century’s big idea? BMJ 345: 17-20.
von Schirnding Y, Mulholland C (2002) Health in the Context of Sustainable Development Background Document for WHO Meeting on “Making Health Central to Sustainable Development: Planning the Health Agenda for the World Summit on Sustainable Development. Geneva: WHO. WWF (2013) Hong Kong Ecological Footprint Report 2013. HK: WWF Report. WWF (2014) Hong Kong Ecological Footprint: Summary 2014 update. HK: WWF Summary Report. WWF (2016) News on Hong Kong Overshoot Day-time to rethink and act to reduce our Ecological Footprint. Environmental Protection Department of Hong Kong (2017) Monitoring of Solid Waste in Hong Kong: Waste Statistics for 2015. HK: EPD. SCMP (2016) HK food waste described during the World Food Day by newspaper of SCMP on 14 October 2016. SCMP (2013) HK’s throwaway culture described by newspaper of SCMP on 22 April, 2013. Euromonitor International (2015) Meat Consumption Trends in Asia Pacific, and What They Mean for Foodservice Strategy. Taherzadeh MJ, Rajendran K (2015) Chapter 4: Factors Affecting Development of Waste Management Experiences from different cultures. In: Ekström KM Waste Management and Sustainable Consumption: Reflections on Consumer Waste. London and New York: Routledge Group. Li AML (2016) Health Promotion of Sustainable Diets: Key for Obesity Epidemic and Environmental Sustainability. J Nutr Health Food Eng 4: 00126-4. McMichael AJ, Powles JW, Butler CD, Uauy R (2007) Food livestock production energy climate change and health. Lancet 370: 1253-1263. Zhang J, Mauzerall DL, Zhu T, Liang S, Ezzati M, et al. (2010) Environmental health in China: progress towards clean air and safe water. Lancet 375: 1110-1119. FAO (2011) Report on International Scientific Symposium Biodiversity and Sustainable Diets: United against Hunger. 3-5 November 2010. Food and Agriculture Organization Rome. Steffen W, Lambin E (2004) Earth System Functioning in the Anthropocene: Human Impacts on the Global Environment. In: Working Group for Interactions between Global Change and Human Health. Vatican City 2006: Pontifical Academy of Sciences, pp: 112-144. Hanlon P, Carlisle S, Hannah M, Lyon A, Reilly D (2011) Learning our way into the future public health: a proposition. Journal of Public Health 33: 335-342. Environmental Protection Agency of United States (2017) Future of Climate Change. Davies SC, Winpenny E, Ball S, Fowler T, Rubin J, et al. (2014) For debate: a new wave in public health improvement. Lancet 384: 1889-1895. Goldberg TL, Patz JA (2015) The need for a global health ethic. Lancet 386: 37-39. Nicolescu B (1999) The transdisciplinary evolution of learning. 1: 1-11. Nicolescu B (2011) The Need for Transdisciplinarity in Higher Education.“New Trends and Issues” Istanbul Turkey. 1: 1-9. Li AML (2017) Presentation talk on “Connectivity of Transdisciplinary Education on Climate Change and Global Public Health through an Innovative Curriculum Platform”. International Conference on Open and Innovative Education, HK 12-14 July, 2017. The Open University of Hong Kong. Delors J (2013) The treasure within: Learning to know learning to do learning to live together and learning to be. Int Rev Educ 59: 319-330. McGregor SLT (2005) Transdisciplinarity and a Culture of Peace. Culture of Peace Online Journal 1: 1-12. UNESCO (2002) Universal Declaration on Cultural Diversity. A document for the World Summit on Sustainable Development, Johannesburg. Sachs JD (2012) From Millennium Development Goals to Sustainable Development Goals. Lancet 379: 2206-2211. Patz JA, Camphell LD, Holloway T, Foley JA (2005) Impact of regional climate change on human health. Nature 438: 310-317.
von Schimding Y (2002) Health and sustainable development: can we rise to the challenge? Lancet 360: 632-637. McMichael AJ, Beaglehole R (2000) The changing global context of public health. Lancet 356: 495-499.